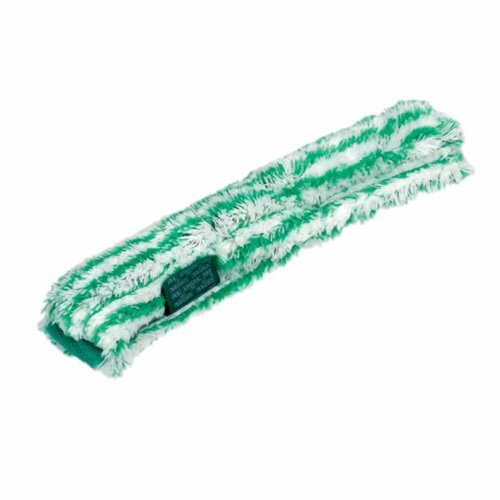 Unger heavy-duty 14-inches washer sleeve with extra-long fibers, scrub pad, and hook and loop fastening. Woven fabric holds large amounts of water, while the reinforced sewn ends and durable backing for extended life. Ideal for cleaning large windows/areas. Extra heavy-duty replacement sleeve has maximum water holding and superior water releasing. Each sleeve has Velcro fastening, heavy-duty backing for longer wear and a non-abrasive end pad for scrubbing power.